These days a lot of people want to grow their own organic food in edible gardens, at home. In Saratoga Springs I have several clients who have edible gardens in raised beds like the one shown here. It is always a good idea to plant to attract pollinators, like the Sunflower, Borage and Nasturtium in this garden, and also native flowering perennials. 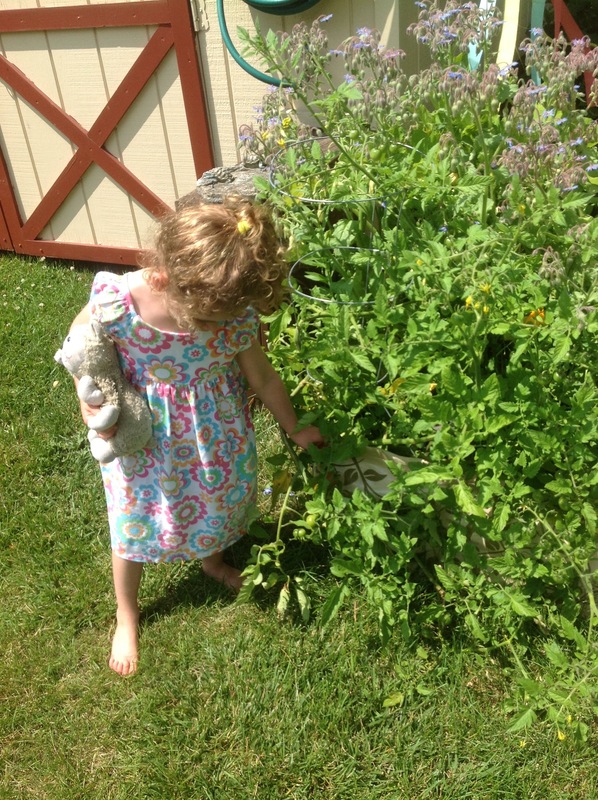 Growing vegetables is really fun for kids when they can be involved with the watering and weeding. Growing vegetables organically is much easier when native flowering perennials for pollinators and other companion planting methods are included. 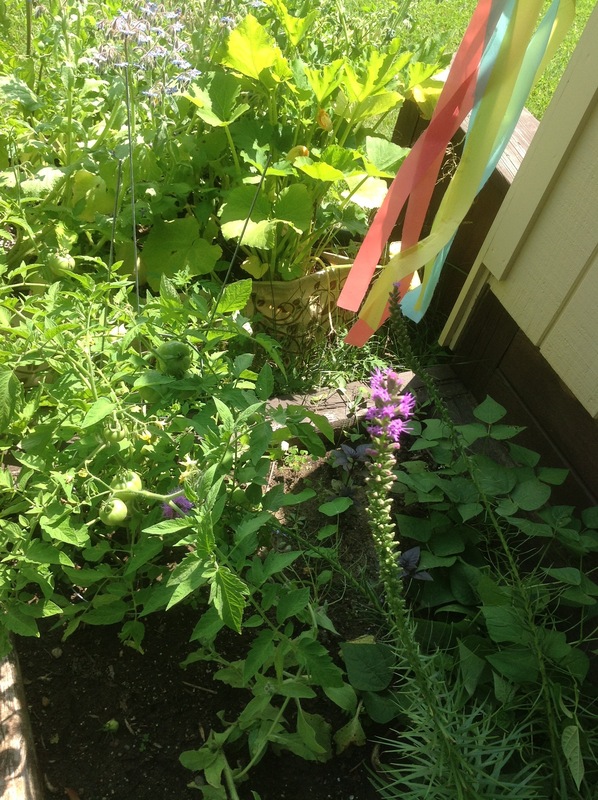 This Liatris spicata is just starting to bloom, attracting many butterflies and bees, many who stick around to pollinate the Eggplants, Zucchini, Tomatoes and Peppers. 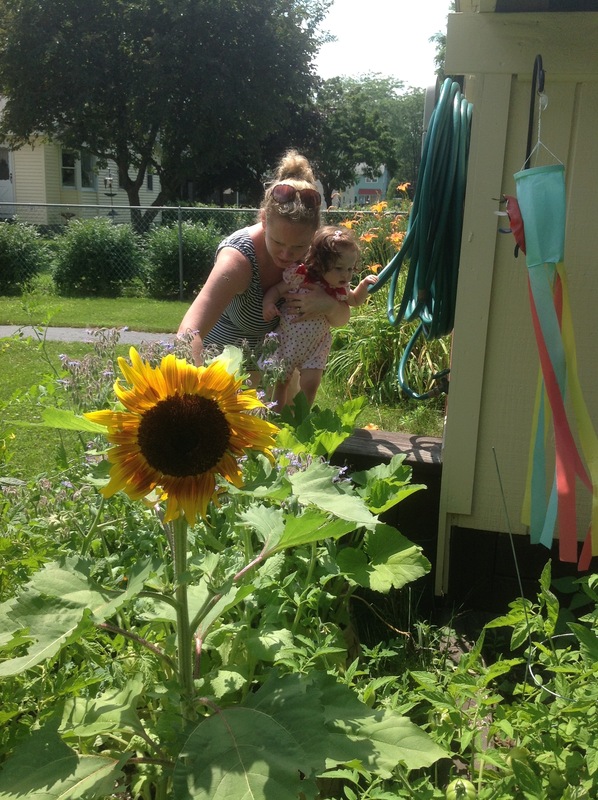 Gardening in Saratoga Springs, NY can take many forms; organic edible gardening with children is a beautiful endeavor that can be made simpler with the integration of native perennials for attracting pollinators.